Ah, the last few weeks of the semester is always a scramble of grading and student meetings, and other related chaos! Add to the mix a trip to Chicago for our Province V Synod and life has been pretty full this last week, yet the time in Chicago was well worth the interruption and, hopefully, I can finish playing catch-up by the end of the week! In the midst of all the craziness on my desk, it is good to sit here for a little while and reflect on what I experienced at Synod. I know that I’ve mentioned before that, as the newest member of our deputation to Convention, I’m facing a bit of a learning curve. 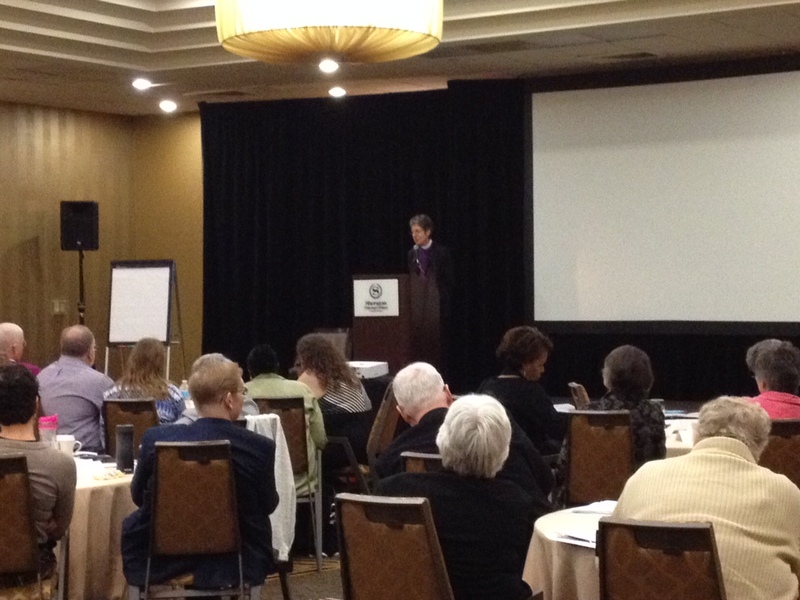 I honestly didn’t know what Synod would be like and what work we might try to accomplish together. 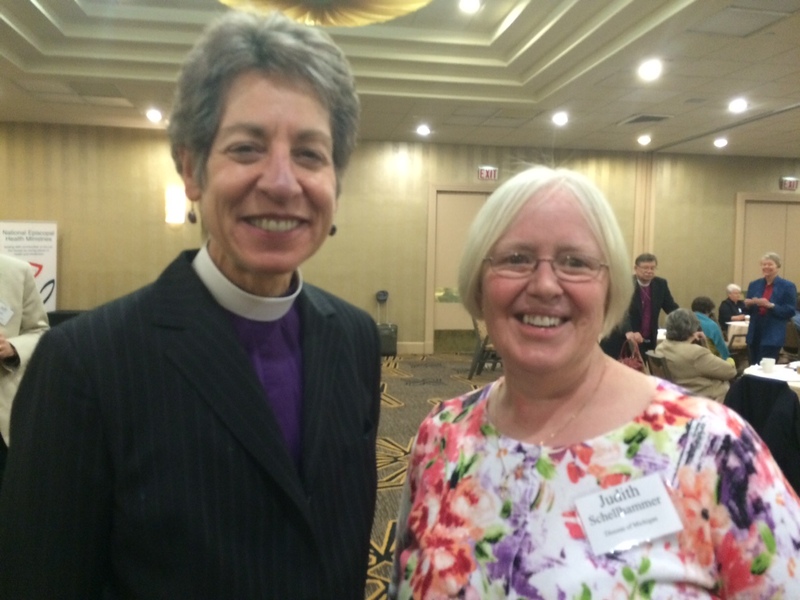 And, while I love the networking that I can do at our diocesan functions, I realized I wouldn’t know anyone there other than our representatives, Bishop Gibbs, Canon Jo Ann Hardy (a member of the Province board), Lizzie Anderson and the Rev. Ron Byrd. I needn’t have worried about my latent shyness at all! Everyone was friendly and welcoming and I’ve made some wonderful new friends through table discussions and shared meals! Mark 1 – To proclaim the good news of the kingdom – We meet this mark when we equip our members and provide formation opportunities which foster interconnectedness and work for the good of the whole. Mark 2 – To teach, baptize, and nurture new believers – We accomplish this as we “develop a broader vision for how the faithful are gathered.” Are we looking outside our comfortable routines to imagine new ways of doing what we do? Are we learning from those coming into our congregations – the refugees, the migrants, the marginalized? 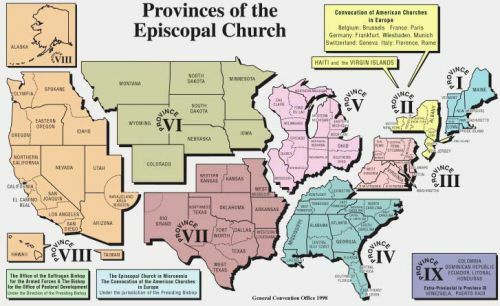 It might be time to look at revising the BCP; not throwing out the best of what we have but adding to enrich our work. Mark 3 – To respond to human need by loving service – We live into this mark when we hear the “people crying in the wilderness.” The Millennium Development Goals have guided our work since 2000 but they will expire this year and a new, ambitious agenda will replace them, which includes ending poverty, promoting prosperity and well-being for all, protecting the environment and addressing climate change (http://www.un.org/sustainabledevelopment/ ). Mark 4 – To seek to transform unjust structures of society, to challenge violence of every kind and to pursue peace and reconciliation – We will see progress in reaching this mark when we eliminate inequality of access to resources. We most motivate peace-making, ensure adequate food for all children, and seek peaceful resolutions to conflict. Mark 5 – To strive to safeguard the integrity of creation and sustain and renew the life of the earth – God gave us this home. When we contaminate through lack of caring, we bring illness and disease to all parts of our planet. When we care, we see the signs of the abundant life God desires for us. Restraining our appetites gives life to others. Yes, there were resolutions and elections, too. Our own Edie Wakevainen was elected as Secretary to Province V! Congratulations, Edie!! It was a very engaging and helpful two days and I am most grateful for the opportunity to attend. I’d be pleased to answer any questions you might have – and I bet my other EDOMI participants would be, as well. I feel a little better prepared for some of the work we’ll do at General Convention and am beginning to count the days – 57 days until I leave!! Father, you have called us to a pilgrimage of faith. and the call of faith is a constant challenge on our journey. for the conviction that, unseen but not unknown, you are with us. and faith at last lead to sight. Our Closing Prayer at Synod from Celtic Blessings and Prayers by Brendan O’Malley. Thanks, Judith! I think that you have already begun some of the most important work of a delegate to the meeting of the Provincial Synod — you have informed us all of what took place at the gathering and what will be happening in the future! Well done!